Planning a kid’s birthday party is easy. Well, “easy.” You pick out toys, cartoon decorations, and hope for the best. Adults are a different matter entirely: we doubt your friends are going to be up for an evening of funfetti cake and paper hats. (Unless they are!) 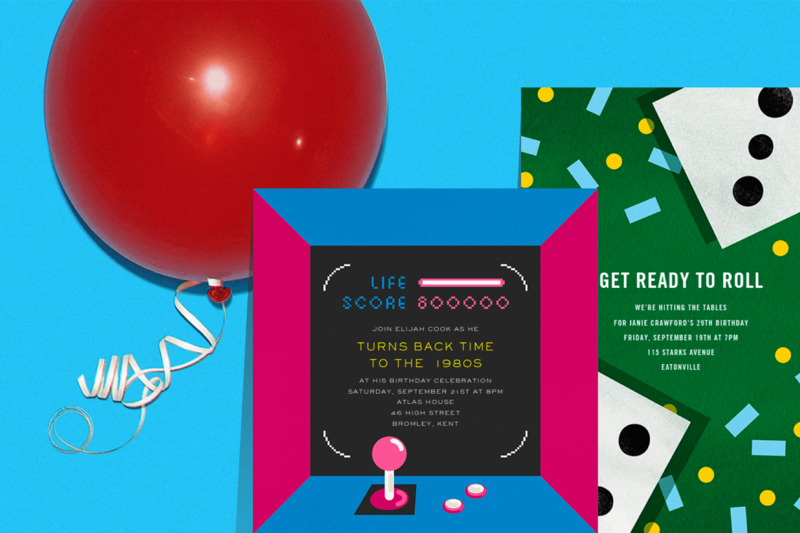 No matter the size of your planned party, you’ll need to find a few new games for your guests. Still sore over not getting Mall Madness for your birthday? Where your parents were strict, eBay is wonderfully indulgent. Pick out your favorite retro diversions (they don’t have to just be games) and invite a small group over to mix kids’ toys with adult beverages. Something about the combination just works, and a game night is a great way to make otherwise shy guests step out of their shell. It doesn’t have to just be cake, mind you. Set up a tasting of whatever your favorite thing is, and have guests prepare (or just shop for) their choice version. Some might want to try a sweet, but you could also organize the night around a favorite childhood dish: a chili cook-off, a casserole cavalcade, or something higher-tone. Food could be off the menu, in which case you can have a very civilized wine or spirit tasting. Maybe order some snacks on the side for that one. 1. Wine Tasting Flight Sampler. 2. Sushi Making Kit. 3. Le Creuset Casserole Dish. At this headcount, your dwelling might be bursting at the wall. We hereby give you the right to retreat… to a bar, that is. A birthday party is a great excuse for whatever mood you’re in: hit up an old favorite, try somewhere completely new, try somewhere you’d normally never go to. 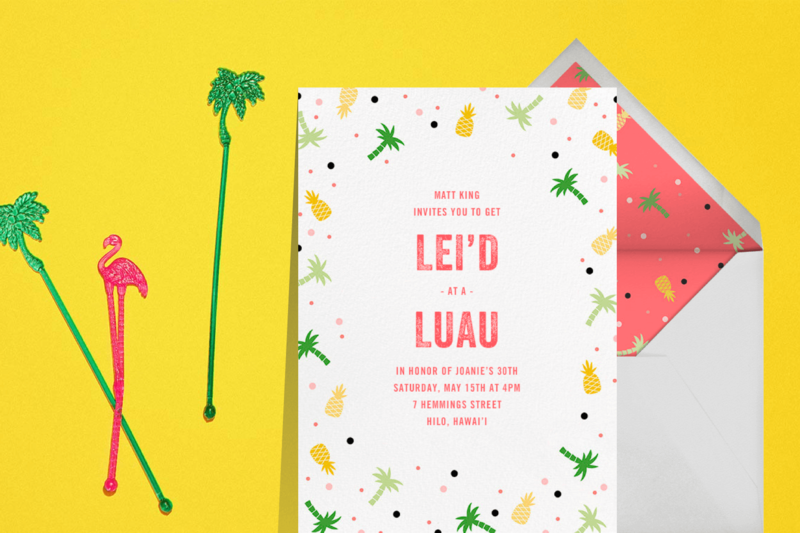 We love a tiki bar for a birthday party, because it creates a very campy sense of occasion. Also, a party this size may not have the exact same planning needs as a smaller gathering. 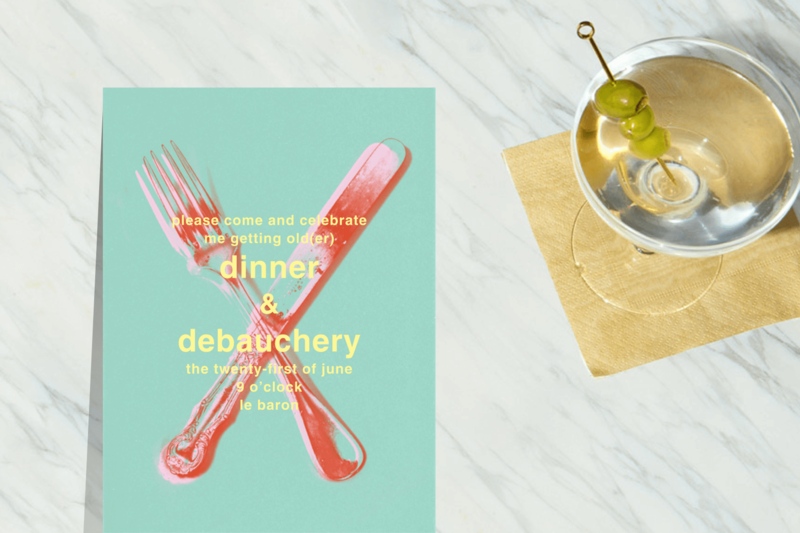 For something more casual, try using Paperless Post Flyer, our new way of hosting bigger events. You’ll be able to create a streamlined event page quickly, and you’ll get a shareable link for texting, putting on social media, or emailing and forwarding to friends. Try it out here. 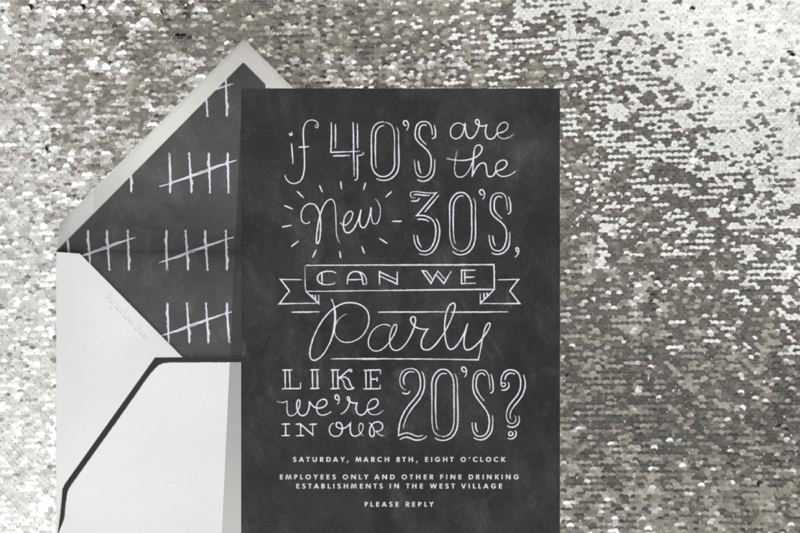 You’ve got the right idea, now get the guests with our adult birthday invitations.